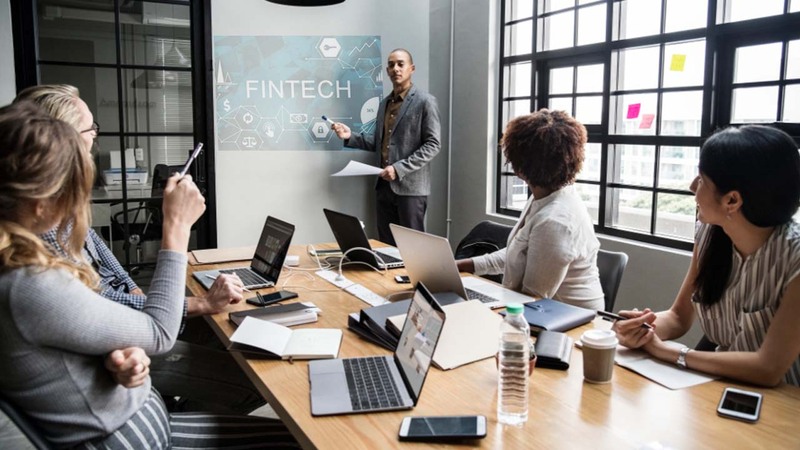 The ten most valuable startups in the Fintech industry include Kabbage, Robinhood, Avidxchange, Coinbase, and Apttus. The other five are Avant, Oscar, Credit Karma, SoFi, and Stripe. The valuation of companies exceeds $1 billion. That is a remarkable achievement for these startups because the Fintech industry is relatively new. Moreover, players in this industry compete with established and profitable firms in the traditional financial sector. How do they do it? Well, here is an analysis of the ten most valuable startups in the Fintech Industry. Kathryn Petralia, Rob Frohwein, and Marc Gorlin launched Kabbage on February 12, 2009. However, its rise to prominence started in late 2017 when an investment round raised $250 million for the company. Today, this company is worth $1.3 billion according to estimates from PitchBook. Currently, Kabbage has its headquarters in Atlanta Georgia. It funds consumers and small businesses from this location. More specifically, it funds them directly through a tech-based lending platform. Vladimir Teney and Baiju Bhatt launched Robinhood on April 18, 2013. This launch took place in Palo Alto, California. Today, the company has its headquarters in Menlo Park, California. It is worth noting that venture capitalists rejected Robinhood as a concept 75 times. They thought that it was unviable. Today, financial analysts estimate that Robinhood has a value of $1.3 billion. It makes money from the interest that customers have on their cash balances. Customers use this cash to trade in the financial markets. Robinhood practices marginal lending as well. The launch of Avidxchange took place in 2000. That means this company is nearly 20 years old. However, it is a startup because intense operations at the firm started in 2017 when it received $300 million in funding. Today, the company boasts of $545 million in investments and equity financing. Today, Avidxchange is worth $1.4 billion. It provides services such as management of on-demand invoices and accounts payable. The provision of these services occurs through an automated payments platform. Brian Armstrong and Fred Ehrsam founded Coinbase in June 2012. Currently, it has its headquarters in San Francisco, California. Coinbase runs its cryptocurrency exchange platform from this location. This platform handles Bitcoin transactions in 190 nations. The company is worth $1.6 billion. In August 2017, Coinbase raised $108 million in investment financing. It added these funds to $109 million that it had received in equity funding in previous years. Kirk KrappeApttus founded Apttus in 2006. The company specializes in quote-to-cash software. In essence, Apttus facilitates the smooth processing of sales contracts, and it does that with the help of artificial intelligence systems. Interestingly, Apttus was relatively dormant until 2013 when it raised $329 million in equity financing. Then it raised an additional $55 million in financing in 2017. Today, the company is worth $1.9 billion. AI Goldstein, Paul Zhang, and John Sun founded Avant in 2012. The company started its operations as a mid-prime lender. Then it started offering unsecured personal loans in early 2013. Avant offered these loans to consumers using its proprietary technology. This technology helped it determine the creditworthiness of its borrowers. Today, Avant is worth $2 billion with yearly revenue of $437.9 million. It operates from its headquarters in Chicago, Illinois. The launch of Oscar took place in 2013 three years after President Barrack Obama signed the Affordable Healthcare Act. This Act paved the way for Oscar because millions of people started seeking new healthcare plans. Oscar helped these people by selling individual plans to them on a digital interface. By February 2016, the company had received $400 million in investment funding. Today, Oscar has a net worth of $2.7 billion. Ryan Graciano and Nicole Mustard founded Credit Karma in March 2007. The company received a round of investment financing of $175 million in June 2015. That brought its total investment capital to $368 million. Today, Credit Karma is worth $3.5 billion. The company provides free services to its clients including issuing free credit scores. It earns revenue from lenders who use the platform to find borrowers. Four people came together to organize and launch SoFi, which is a portmanteau for Social Finance. These four individuals were Mike Cagney, Ian Brady, James Finnigan, and Dan Macklin. However, Mike Cagney stepped down from the company in September this year. SoFi is personal finance company that operates on an online platform. It provides student loan refinancing, personal loans, and mortgages. Today, SoFi has a valuation of $4.4 billion. Patrick Collison and John Collison founded Stripe in 2010. The company facilitates payments by individuals and businesses to other individuals and business. It handles the technical aspects of the transactions to ensure that they flow freely without cases of fraud or other impediments. Currently, Stripe is worth $9.2 billion.